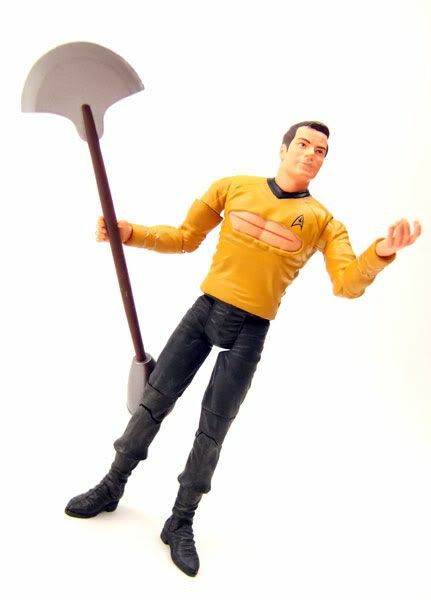 Kirk was released by Diamond Select in the "Amok Time" 2 pack with Commander Spock. 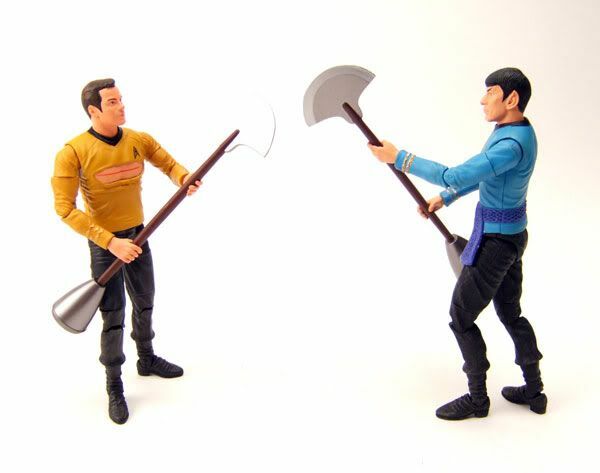 The Rundown: Yesterday we looked at Spock, which makes today Kirk's turn! 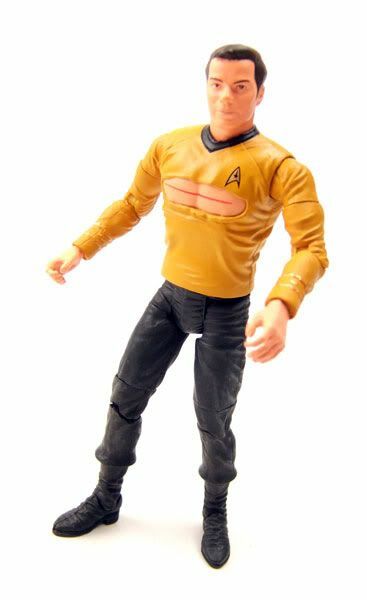 Again, we see some reuse from the original Art Asylum sculpt, but with a newer sculpted torso. 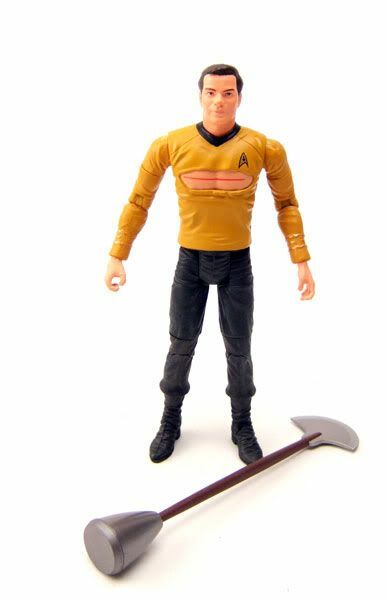 Since both figures needed changes made to their torsos (Spock needed his sash, Kirk needed his battle wound), Diamond took the opportunity to get rid of the rubber shirt and do a solid hard sculpt chest. I personally love it and wish they'd do more like this. The figure is still well-articulated, despite the loss of the torso articulation, and you can still get some great poses out of him. The paint detailing on the body is really, really sharp. The over wash they gave the uniform gives it a really nice dirty look. 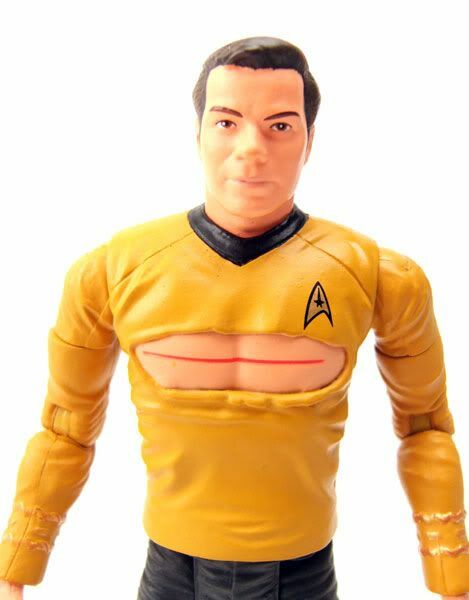 The symbol on the chest is placed correctly and is really sharp too. 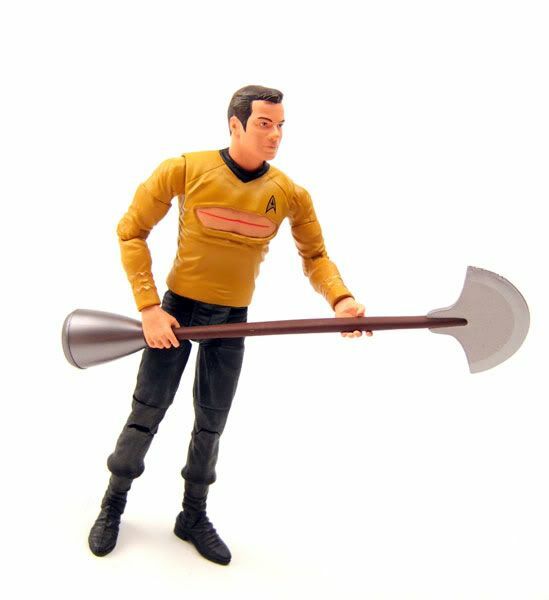 Accessories: Kirk gets a lirpa of his own to fight with! 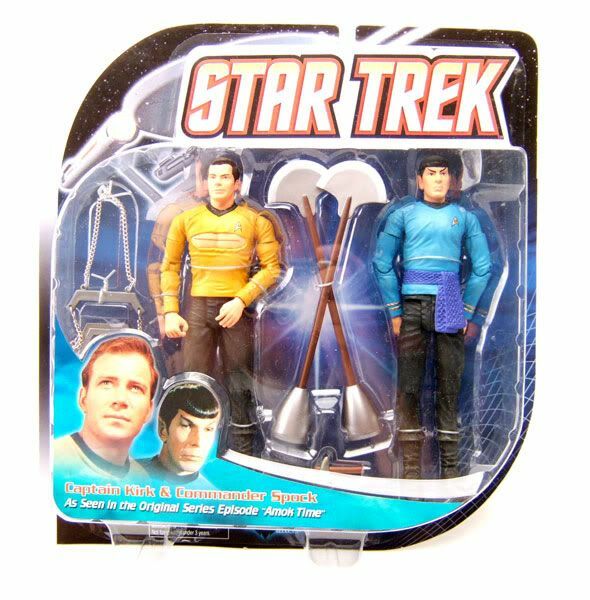 There's a couple of other things in the pack as well, but I considered those Spock's stuff, not Kirk's. Pretty great 2-pack all-in-all. I highly recommend it. I am a bit late to the party and am just watching TOS for the first time in my life. 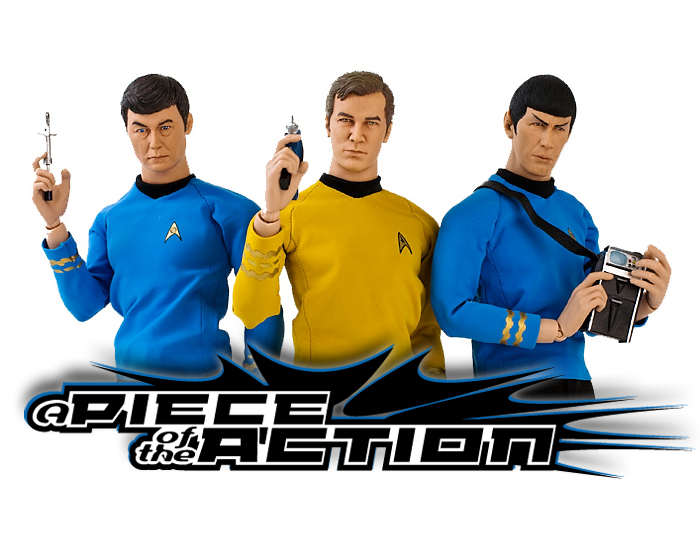 Naturally, I am hooked and buying a lot of action figures. I want to thank for this page, as it has helped me a lot to get an overview of what is actually out there! And great pictures and all the details of accessories coming with them. Today I got my Amok Time pack. I simply love it. I guess I'll have to customize a sand so the plate can actually hang. From looking at your pictures I see that you indeed managed to get both their hands onto the lirpas? The staff is so thick, I only managed to get it into their left hand and put the right on top of it. I was afraid of breaking off the thumb when forcing it into. Do you have a trick? With other figures the fingers are more flexible. But if you say it's possible I shall try again. Also the paint of the hands is rubbing off onto the brown handles immediately. Why couldn't they make them a bit thinner?